The Old Brighton Grammarians Football Club is our largest club for Old Boys and one steeped in great history. 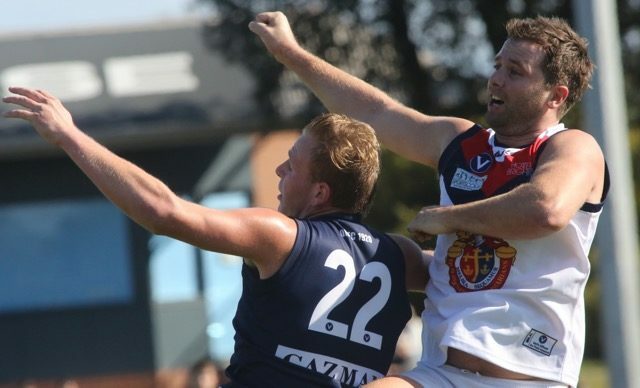 Playing in the Victorian Amateur Football Association (VAFA) in the ‘Premier B’ competition, the club traditionally attracts a large number of young Old Boys interested in continuing to play football – or those interested in following a local team. After a full refurbishment and ground extension in 2014, the OBGFC is home to a wonderful playing surface at their South Road Oval base. The Club currently field three teams; an U19’s and both Reserve and Senior sides. The VAFA season runs between April and September, with training typically twice a week. Old Boy and past Captain of XVIII Football, Ryan Joseph, is at the helm of our U19 team, while former Melbourne Football Club Coach, Greg Hutchison, serves as Senior Coach.